Is Zelda 2: The Adventure of Link too difficult? Not if you tackle it the right way! Today I'm going to go through the entire game and give you as many tips and tactics as I can think of about how to make this game a bit easier and more forgiving. 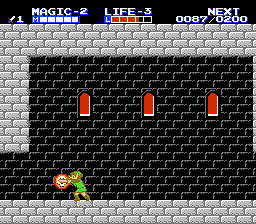 Zelda 2: The Adventure of Link was released on the NES in North America in late 1988. It took the overhead design of the first Zelda game and turned it on its side, making it a side-scrolling adventure game. This change, at the time, wasn't met with harsh criticism like it is today. Back then, it being only the second Zelda game in existence meant that it could try new ideas without raising too many eyebrows. 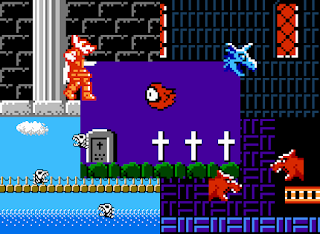 Now, this game is seen as the black sheep entry of the series. It is drastically different from other Zelda games. It's side-scrolling. It has RPG elements like gaining experience and levels. It features lots of different types of magic spells. There's no Ganon! Truly this game stands out from the rest, but I feel like that's a good thing. It tried something different and I feel like it worked. I got this game the year after it came out. It was one of my first NES games. I have always really liked this one a lot, to the point that I would say I like it more than the original game. I wrote about it a bit here and here, so you should check those features out as well if you haven't already. But enough about all that. Let's get into these tips and tactics I was talking about! Take these out whenever you can! Early in the game you will encounter Bubble enemies in the palaces. It's a good idea to defeat these every time you encounter one because they give you an unheard of 50 experience points every time you kill one. Take a look at that screen shot to the left. At that point in the game, you need 200 experience points to gain a level. That translates to killing four Bubbles, which can be done in no time at all! It might appear at first as though they are invincible because they don't go down quickly when you attack them, but they can be defeated with enough sword strikes. While attacking them, you need to be wary of other enemies that might sneak up on you like Bots and Tinsuits. Additionally, Bubbles respawn. Powerful enemies in the palaces don't typically respawn unless you leave and then re-enter, so farming these for 50 experience each is a good idea if you're close to a level gain early in the game. Standard advice for any RPG, actually. There are times where you might want to just run from an enemy, but unless your life is critically low or you're not that confident defeating that particular enemy, it's a good idea to defeat every enemy you come across no matter how strong or insignificant they might seem. Strong enemies will no doubt yield more experience points than weak ones, but the weak ones will sometimes drop a points bag that will make it very worth your while. Nothing like a Bot dropping a points bag and giving you the same amount of experience as an Iron Knuckle. Free level gains are always nice. There are six palaces in the game, so that's six guaranteed levels you don't have to worry about gaining. Chances are you'll also gain a few levels in early palaces and at least one level in later ones, so each palace you finish has much more to gain than just a magical item. Knowing when to finish the palaces is something that you should be exploiting every chance you get. If you're close to gaining a level, it's a good strategy to not finish the palace just yet and instead focus a bit on gaining those experience points before you do. You don't want to waste the free level gain when you could do it yourself by killing a few Bubbles. If you're close to gaining a level before fighting the boss but you don't think the experience they give will raise your level, you can also backtrack out of the palace and then re-enter it to respawn all the stronger enemies. This sounds like it would be a hassle, but if you've made it to the boss then you've already found all the keys and can avoid the paths necessary to get them. A two minute walk out of the palace to respawn the enemies will save you a lot of time when it comes to gaining levels. You might think you need to save your magic in the palaces or overworld for some life magic. That might be true in some instances, but don't be afraid to use your other spells. You need to cast the reflect magic to defeat the Wizzrobes, and I highly recommend you do so. Additionally, you need to cast the fire magic to defeat the Zoras and armored Tektites. You might be tempted to always flee from battles with these foes, but it would do you good to take them down whenever you encounter them if at all possible. There are wizard enemies in the fifth palace called Mago that phase in and out of existence and torch the ground in front of them. Your first instinct might be to not bother with them because they do take a bit to kill. They randomly teleport around the screen and you never know if they're going to be in range for an attack or not. Every time you defeat one of these enemies you will be awarded with 200 experience points, and let me tell you, that adds up fast. 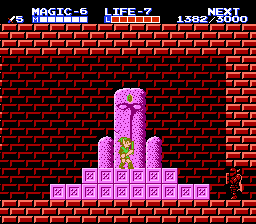 It is possible to effortlessly gain more levels in this palace than any of the others, and by that I mean where you don't have to devote a lot of time to killing enemies to get experience. Just walking though this palace normally and killing every enemy you encounter (especially ol' Mago here) will have you gaining experience left and right. As with all Zelda games, finding the Heart Containers is a must if you want to succeed. 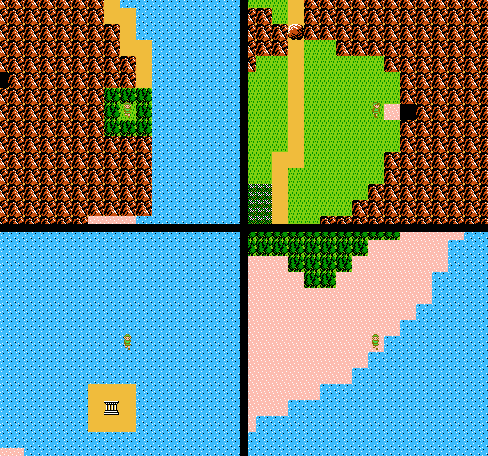 Zelda 2 is no different, but it is different in that every Heart Container you find is hidden in the overworld instead of in the palaces. Take a look at the image below to see where all four of the Heart Containers are hidden. Like the Heart Containers, the Magic Containers are a must. There are four hidden throughout Hyrule, so you should definitely seek them out as magic plays a huge role in this game. 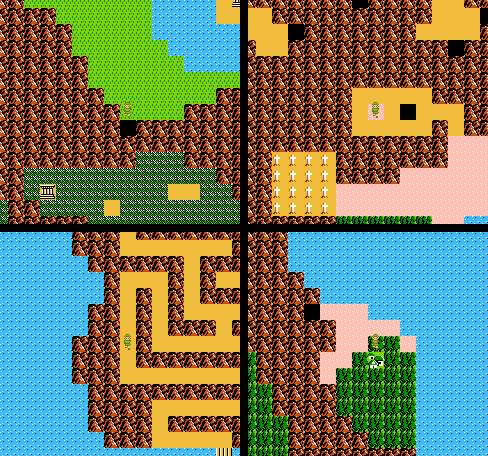 The final image is a hidden town that must be uncovered by striking the area shown with your Hammer. The Magical Key is also hidden in this town. There are nine points in the overworld where you can find secret areas with experience point bags in them. Nabbing these will help you get some much needed experience! The point values of these bags range from 50 points all the way up to 500, so it is in your best interest to get them. The areas shown below are where you can find these freebies. Keep in mind that they will not respawn after you collect them, though. There are four 1-Up dolls scattered around the overworld for Link to find. However, these do come with a caveat: If you obtain these extra lives, they will never respawn! The best tactic to use is to save them for when you're ready to take on the final palace, as this will give you four more chances to conquer this difficult area. Take a look at the image below to see where they are located. 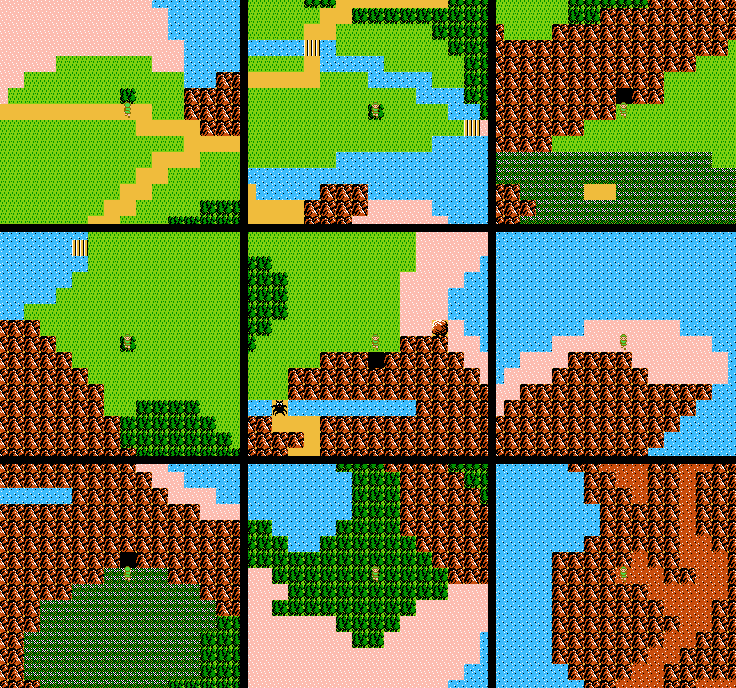 There are several times on the overworld where you are forced into a battle scene when you cross certain tiles. You can bypass these mandatory battles if you are attacked by a random encounter on the overworld as you are walking onto the battle scene tile. The random battles apparently take precedence over the battle scenes. This technique works very well on the road to the Great Palace, as the battle scenes on the way there are super dangerous! And that's it! 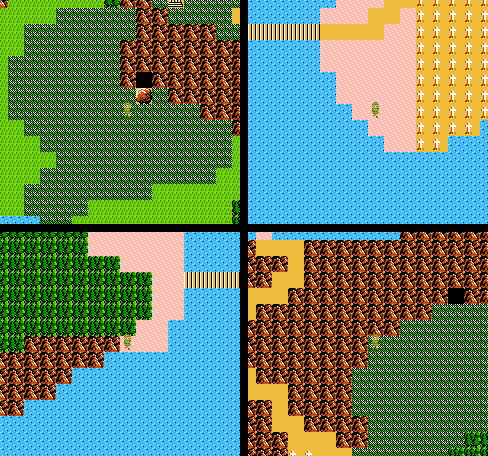 Hopefully this strategies article helps someone get through Zelda 2: The Adventure of Link a little easier. The game has quite the reputation of being difficult, but with the right tactics, you will find that it's a very enjoyable experience.